Why wear just one face, when you could use makeup? I dithered a surprising amount about whether this ought be a review, or a tutorial. This stuff is AMAZING, but it is definitely one of the trickier products to use effectively. For $6(or $1.50 for a sample) it’s WELL worth a little trial and error to get the technique! But I would feel odd enclosing the amount of detail needed to work with it well, in an actual review. Plus, frequenting MUA boards and blog reviews of Fyrinnae and the product, a LOT of people complain that it isn’t working right for them. A lot of the time, this is because they aren’t waiting long enough to apply over it, or they’re applying too much, or they’re waiting too long and it dries and loses it efficacy. So tutorial it is! Enter your email address to subscribe to the Painted Mask and receive notifications of new posts by email. 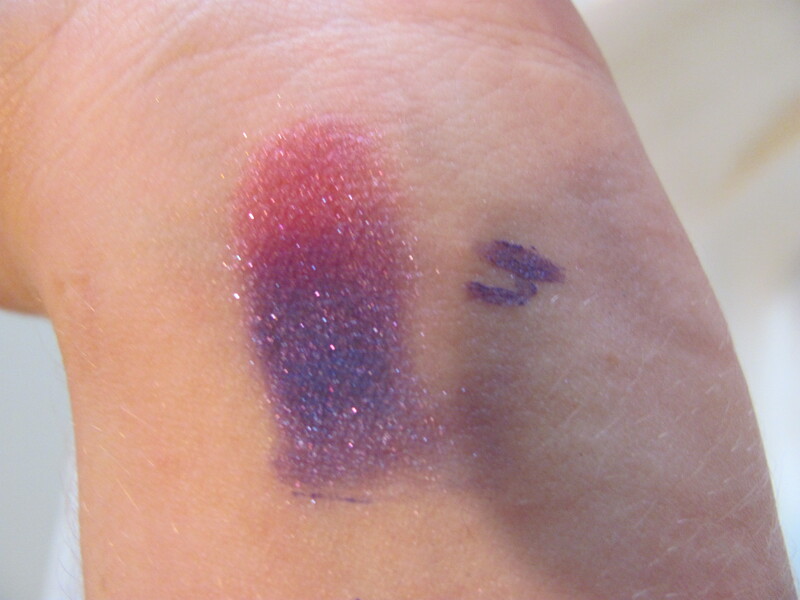 Temptalia's Color Duplicate list search for similar colors. Good for finding cheaper matches for high end colors, limited edition colors, etc. Temptalia's color recommendations Color recommendations from other beauty users, by skintone, product, eyes, hair, etc. Temptalia's Foundation Matrix match foundation shades, across brands. Lipsticks and Lightsabers Indie makeup company reviews, looks. LunaSoeth bright looks, tutorials, reviews. hautelook discount designer beauty items, apparel, accessories. Modcloth fun vintage inspired apparel and accessories. Obsessive Compulsive Cosmetics Airbrush supplies, glitter, pigment, Lip Tars in a variety of bright shades, including primary colors for mixing. SMH cosmetics custom eyeshadow palettes, singles. some LE items from other beauty brands.